A vacation in Venezuela, one of the most biodiverse countries on the planet, can be both affordable and highly rewarding. From snowcapped mountains and vast grassland, to tropical islands and lush rainforests, Venezuela's varied landscapes are a paradise for nature lovers. Whether you're looking to laze on the Caribbean beaches, trek through the verdant jungles, or immerse yourself in the vibrant city culture, a Venezuela holiday offers something for everyone. 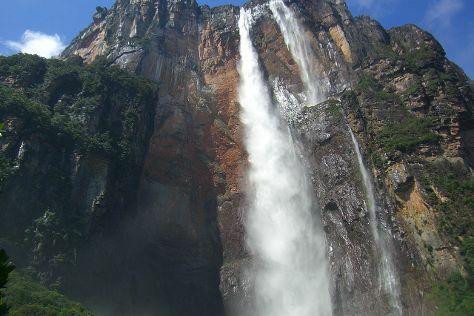 Admire the world's highest waterfalls, go island hopping, discover tasty local delicacies, and witness the sheer abundance of wildlife and endemic species in Venezuela. Venezuela is in South America. Make the most of your holiday in Venezuela by finding out about its attractions and choosing what to see using our Venezuela trip planner.